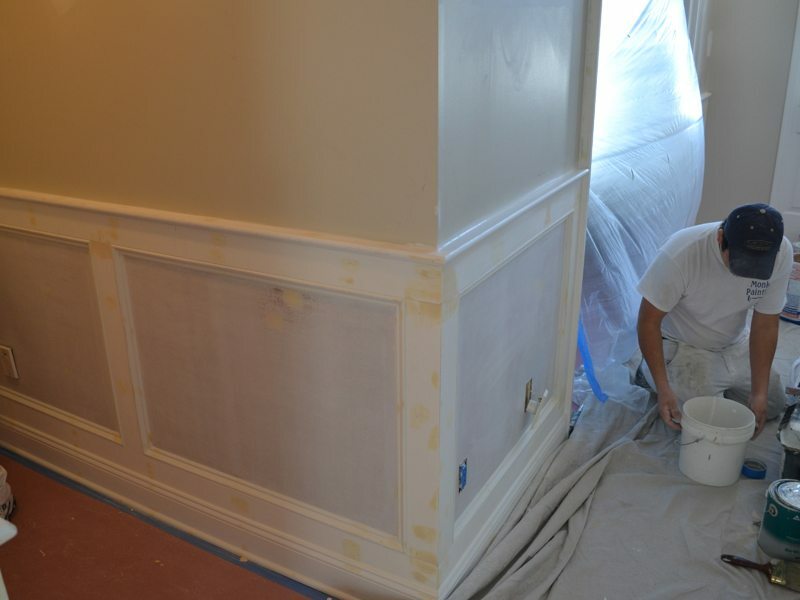 Custom wainscoting is a sophisticated detail sure to add character to your home. 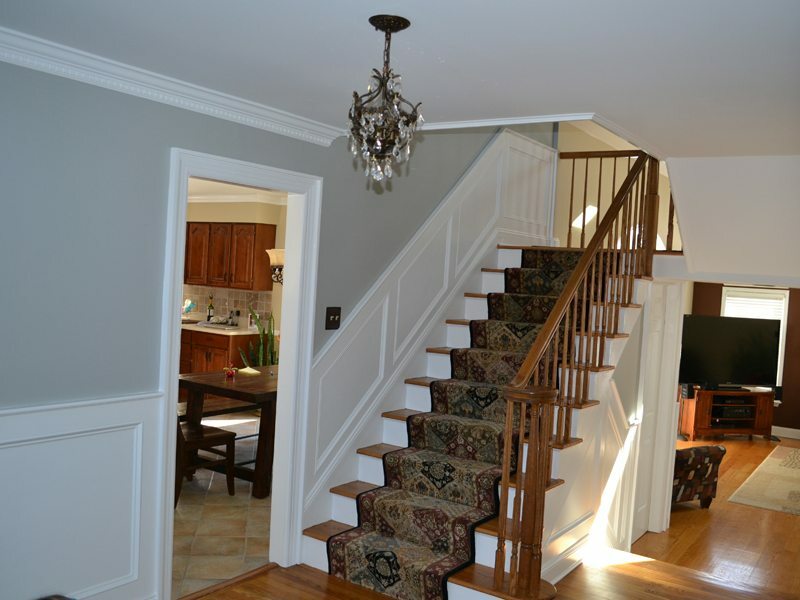 Our team of skilled carpenters and painters transformed this home by installing brand new wainscoting. Our team at Monk’s worked with the homeowners to come up the perfect design for the custom wainscoting. Once the design was decided on our team began the installation. Our team built the panels out of pine moldings to create a recessed panel look. After the carpentry work was completed our team painted the panels with an oil based primer. 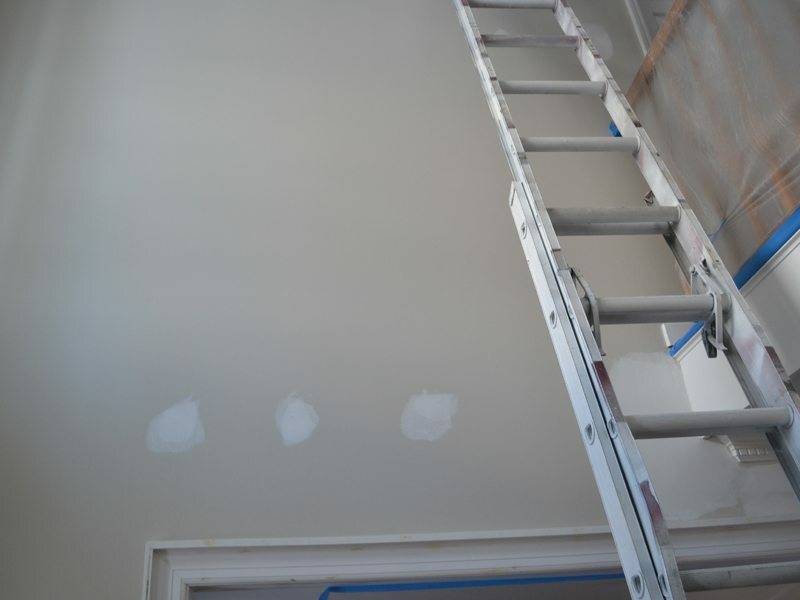 The walls, ceiling, and trim were then given two coats of Benjamin Moore interior paint. 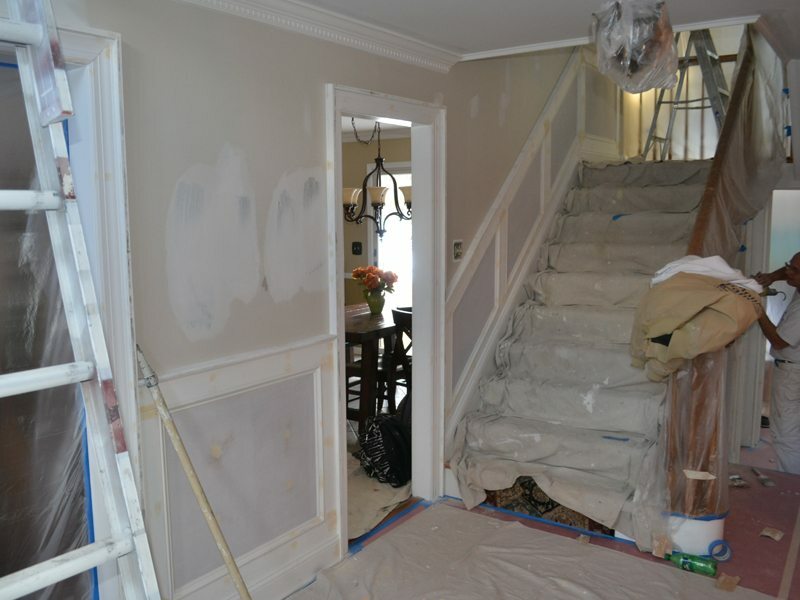 Other Types of Work: historic farm house painting job, exterior trim repair , custom built gate replacement in Mendham. If you are considering a carpentry project for your home we would like the opportunity to tell you why we think we are the best carpentry contractor in Chester, NJ 07930.